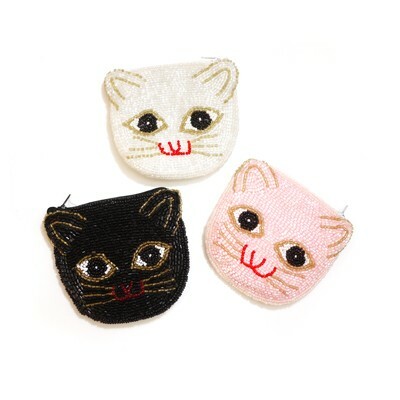 The sweetest cat pouches, available in three colors: white, pink, and black. Fully beaded front and back. Perfect for toting around your delicately precious baubles. Zips at the top, about 4x4"